The Qabalah is a Western non-religious mystic tradition (differing from the Kabbalah, which is an aspect of Jewish mysticism) offering teachings on the nature of divinity, the creation, the origin and fate of the soul, and the role of human beings. 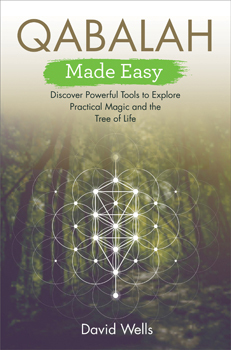 It consists of meditative, devotional, and mystical practices, including astrology, tarot, and magic. The central organizational system of the Qabalah is the Tree of Life - a mystical symbol consisting of ten interconnected spheres and considered to be a map of the universe and the psyche, the order of the creation of the cosmos, and a path to spiritual illumination. This book was previously published in the Hay House Basics series.